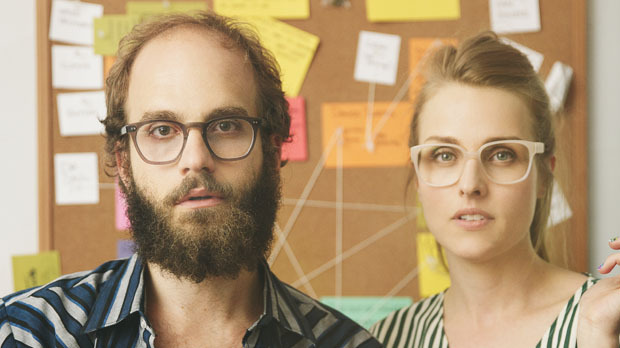 Katja Blichfeld and Ben Sinclair, creators of High Maintenance, the hilarious and profoundly New York Web series that traffics in pot dealing and close quarters of both the emotional and physical variety, have some unlikely influences. “We loved Six Feet Under,” Sinclair says of Alan Ball’s venerable treatise on death and the ties that bind, “but we really loved the first five minutes of it. You just dropped into someone’s life and they die.” “And you always knew that was coming,” Blichfeld interjects. “But every week, the true question was, ‘How are they going to die?’” they echo in unison. For High Maintenance, that source of intrigue was adapted into “How is this character going to meet the weed dealer?” Sinclair explains. For a debut effort, Sinclair and Blichfeld have assembled a particularly impressive rotating cast from their legions of actor friends. Notable cameos include SNL and 30 Rock writer Hannibal Burress, The Color Wheel’s Carlen Altman, and Michael Cyril Creighton, creator of Jack in a Box. 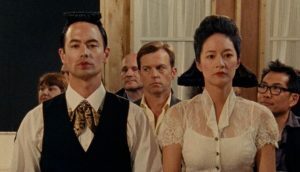 With the release of the third season, Blichfeld and Sinclair are only looking for more opportunities to showcase their ensemble storytelling. Calling from L.A., where they are pitching High Maintenance as a 30-minute television series, Blichfeld admits, “I think people have an expectation of when they watch something online, called a ‘webisode,’ how long it’s going to be. We’ve already played with, ‘How many minutes will people indulge from us?’” She exhales: “We need more real estate. We have so many stories left to tell.”—S.S.